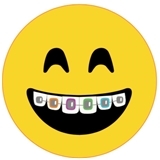 Glenridge Orthodontics / Smile Today Orthodontics (Glendale) - Book Appointment Online! We work with our patients so they can achieve and maintain a beautiful smile. Be inspired to improve your smile! Get a sense of who our orthodontic team is on our web site, and learn more about such treatment options as braces and appliances. Our office uses the latest in orthodontic treatments such as Invisalign® and digital radiography (which means lower radiation to you). Please give us a call when you are ready to schedule your initial consultation. We look forward to meeting you! Answered questions and gave alot of info.